Be a part of history and run in our inaugural Pi Day 5K on 3.14 (March 14). 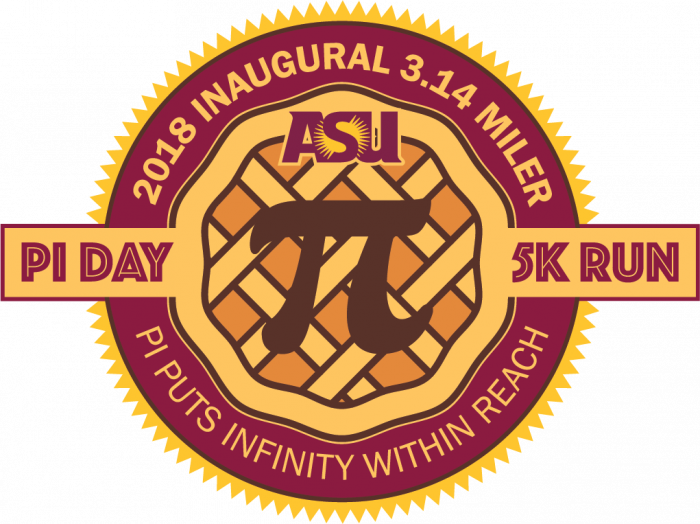 The Pi Day 5K Run is hosted by the School of Mathematical and Statistical Sciences and Sun Devil Fitness. 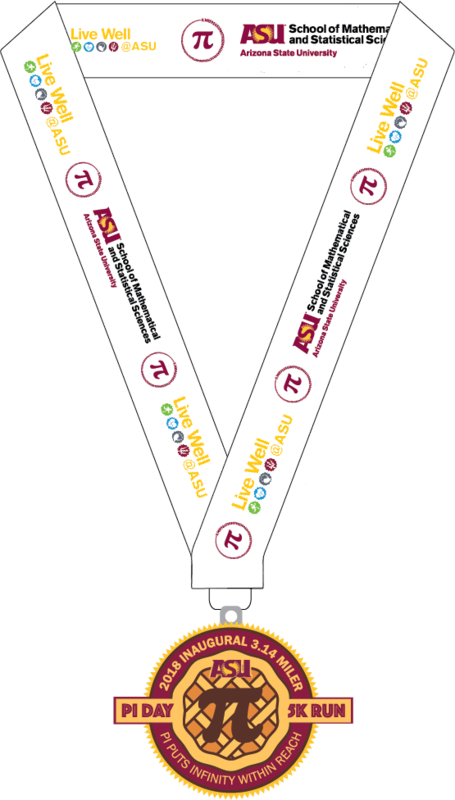 This 3.14 mile run will take you on a scenic route through the beautiful Tempe campus, starting at the Sun Devil Fitness Complex and running past the Memorial Union, across Palm Walk, in front of historic Old Main, past Hayden library, and even includes a glimpse of world-renowned Gammage auditorium designed by architect Frank Lloyd Wright. All finishers receive their own personal mini pie after the race! Join us for this fun mashup of the running, math, and pie-enthusiast communities as we celebrate Pi Day 2018. This event is open to the first 250 participants who register.